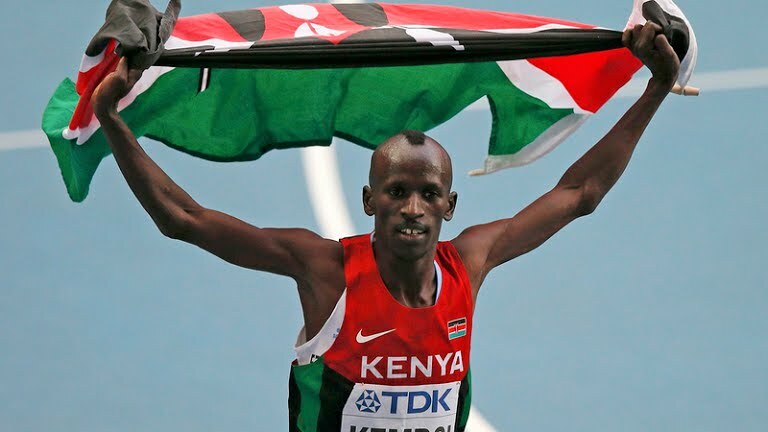 RIO DE JANEIRO — Hours after he claimed bronze in the men’s 3,000-meter steeplechase, Kenya’s Ezekiel Kemboi was disqualified after Mahiedine Mekhissi-Benabbad of France filed a formal complaint. Kemboi’s disqualification moves Mekhissi-Benabbad from fourth to bronze. “When one makes the road less, this is not the (3,000-meter steeplechase),” he said. The rules are the rules, he added. While the IAAF found that Kemboi had committed a violation, it is unclear what impact — if any — it had on the final times. Kemboi finished with a time of 8:08.47, more than three seconds faster than Mekhissi-Benabbad’s fourth-place time. Another Kenyan, Conseslus Kipruto, (8:03.28) set an Olympic Record in taking gold. The USA’s Evan Jager won silver, becoming the first American male to medal in the event since the 1984 Los Angeles Games.